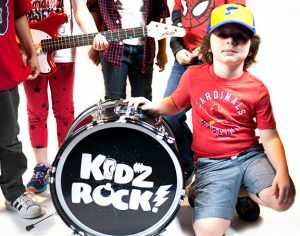 We plant the seeds for greatness in the Rockology Kidzrock Program! 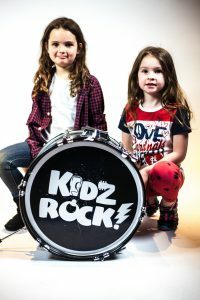 Kidzrock is a nationally acclaimed rock band program where children ages 4 to 7 learn to play guitar, drums, keyboards and sing in a real band setting. The weekly classes are help in the state of the art studios in Wilkes-Barre and Scranton. Classes are forming now for Wednesday evening or Saturday morning sessions. Classes are designed to be fun and engaging to children aged 4 to 7. 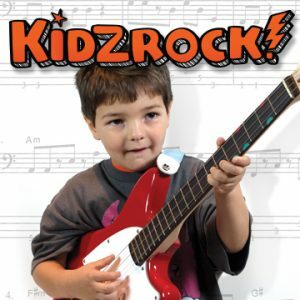 Spark your child’s excitement for music as we teach them how music is created from the basics with participation from the children and demonstrations from our teachers. Our rolling program is only $99 per month, and meets every Wednesday evening or Saturday morning for 50 minutes with age appropriate group sizes and a certified instructor. Call now to reserve your spot 570-970-9999.